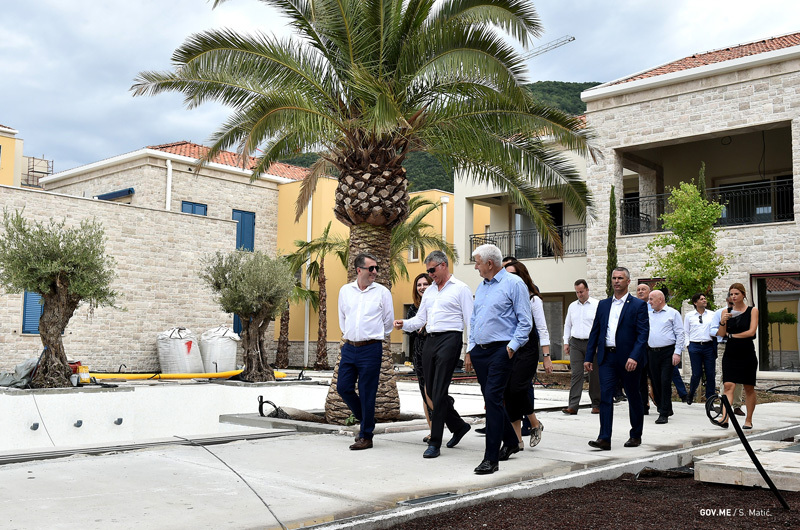 (July 17, 2018) Prime Minister Duško Marković visited yesterday Portonovi Resort and expressed great satisfaction with the works and the fact that Montenegro is getting another world brand and a prestigious high - class Resort in which by the end of this year more than thousand people will be employed. He expressed satisfaction with the fact that more than 700 workers have been employed on the construction site, and that by the end of the year, a total of 1,000 workers will be hired only for construction works. 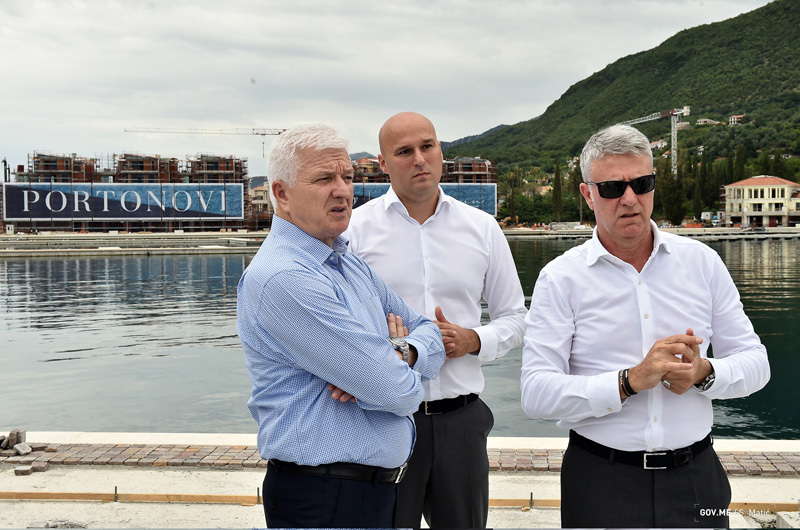 "We expect that hundreds of jobs will be created once the construction works are completed and, of course, we expect the most exclusive clientele that will not only make a profit to Montenegro, but also bring new value in terms of knowledge and capabilities for managing Montenegro’s resources and potentials. 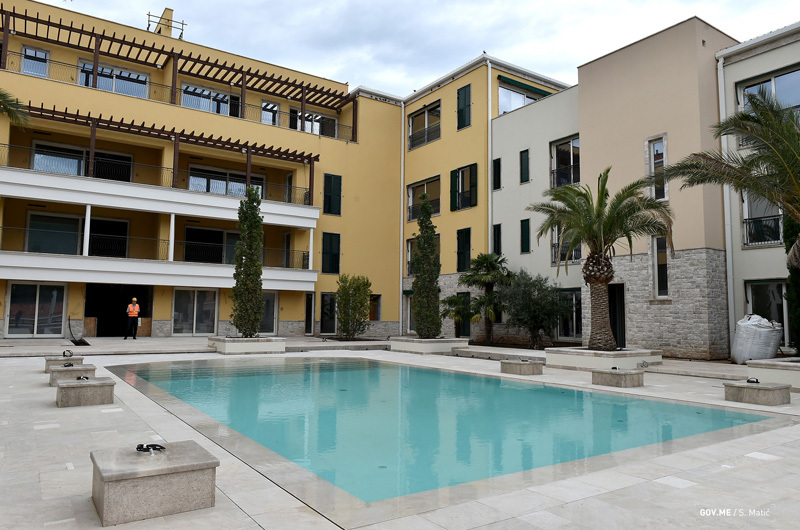 Congratulations to the investor for the quality and the dynamics of the works. 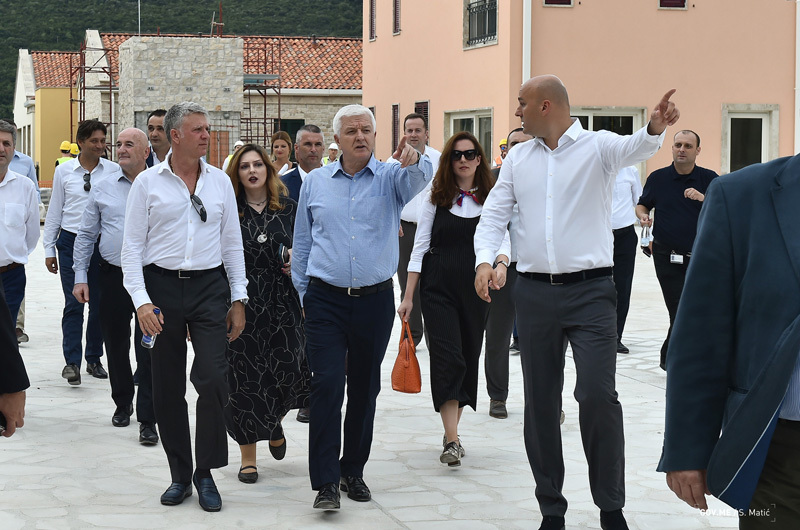 Indeed, everything we have seen is not only a reason for satisfaction but also for pride," said Prime Minister Duško Marković. 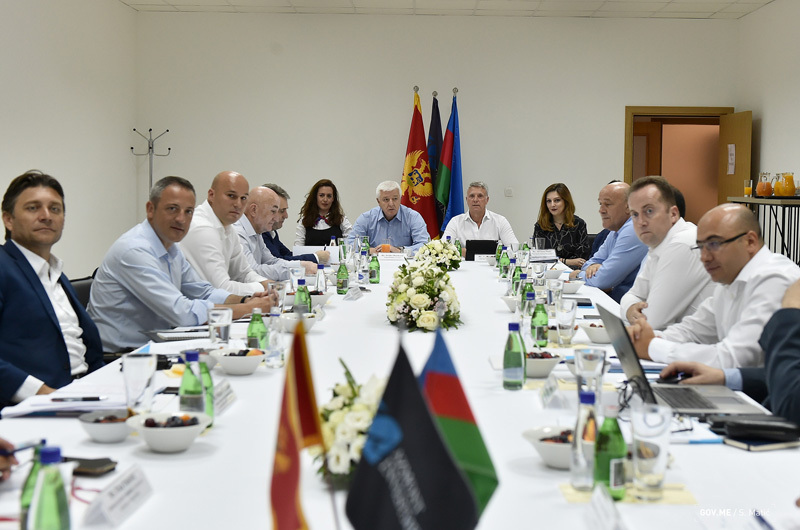 The Management of Azmont Investments informed the Prime Minister about the fact that the initial investment of EUR 258 million was doubled and that the total investment by the end of 2018 will reach amount of EUR 500 million without the value added tax, while next year, at the end of the first phase of the project, the total investment will exceed EUR 1 billion. 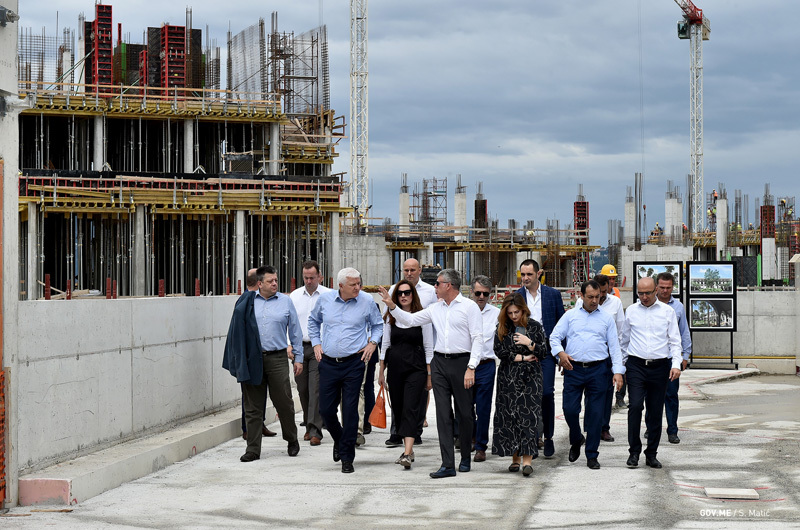 The Minister of Sustainable development and Tourism Pavle Radulović, who visited Portonovi with the Prime Minister, said that the project is developing twice faster than planned and that investments have been doubled. 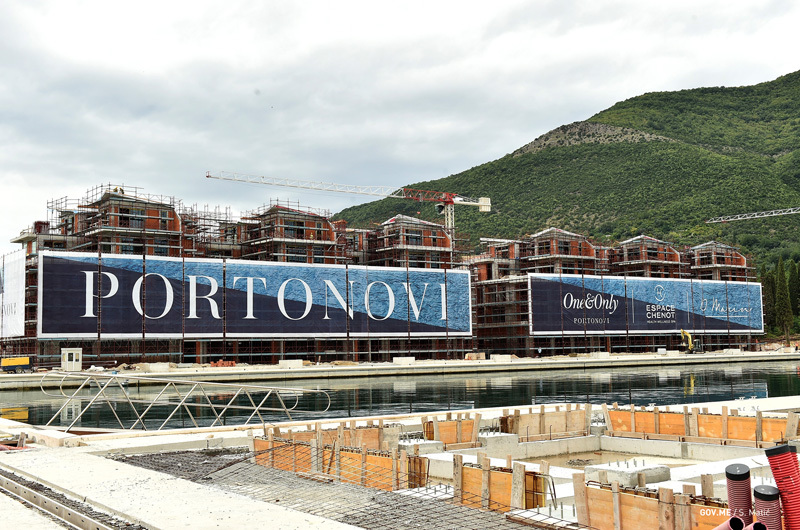 Chairman of the Azmont Investments’ Board of Directors Ahmet Erentok presented data according to which, when operating in full capacity, Portonovi Resort will employ 700 people, mainly from Montenegro. "We have a very tight schedule, which we will fulfil. 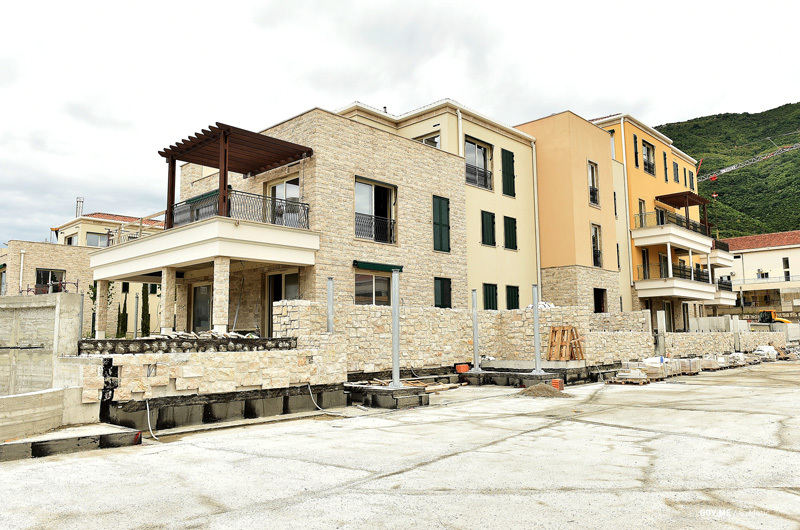 This time next year, in July 2019, people will be walking around here, enjoying coffee and food, and they will be very pleased because we will provide a wonderful service to our guests," Mr. Erentok noted. 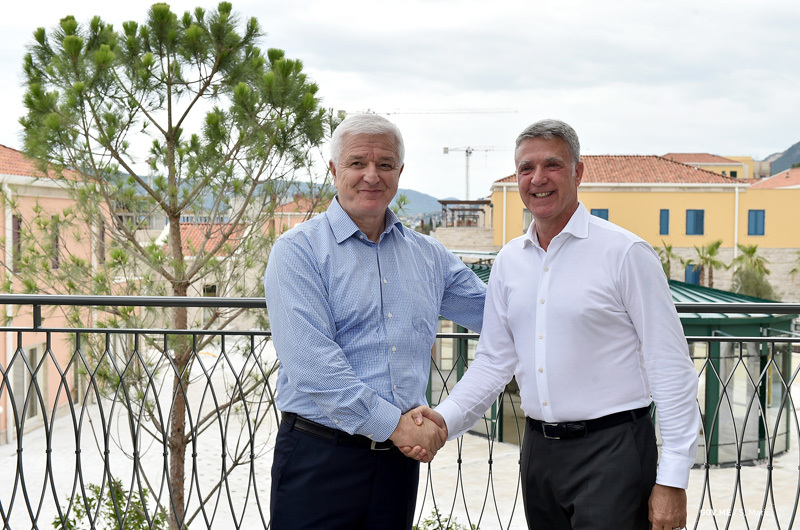 Prime Minister Marković and Chairman Erentok agreed that the grandiose project represents an excellent example of high-quality and efficient cooperation between the Government and the investors. 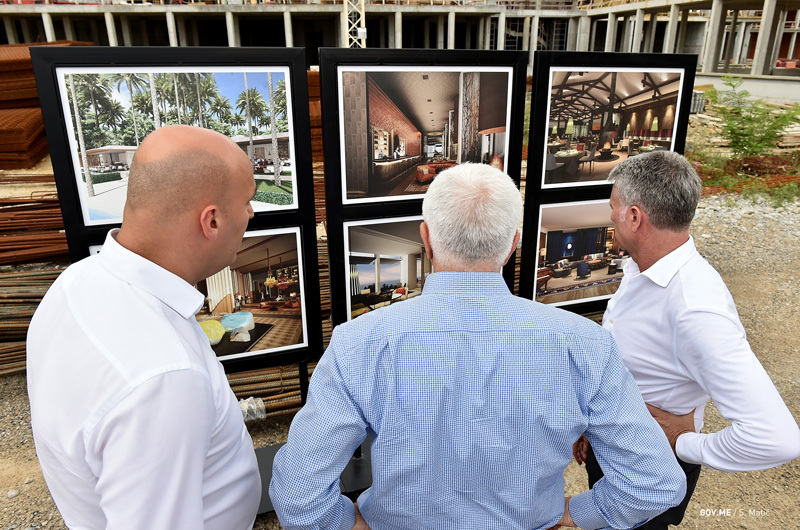 "This project is the best example of how a good investment is being realised by a credible and serious investor. This is what Montenegro needs - a good investment, high-quality investment and, of course, a good and responsible investor. 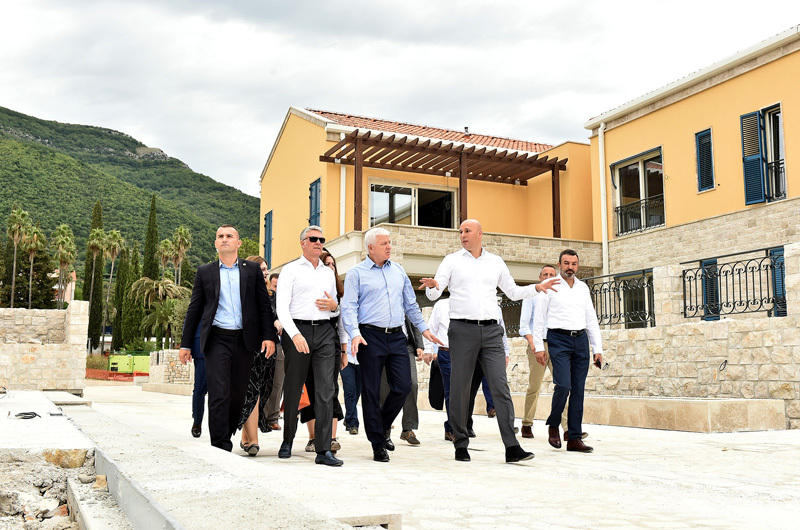 The Government will provide all the necessary support to turn unique Portonovi Resort and this unique location in the Mediterranean into a common good for Montenegro and beyond," the Prime Minister pointed out. 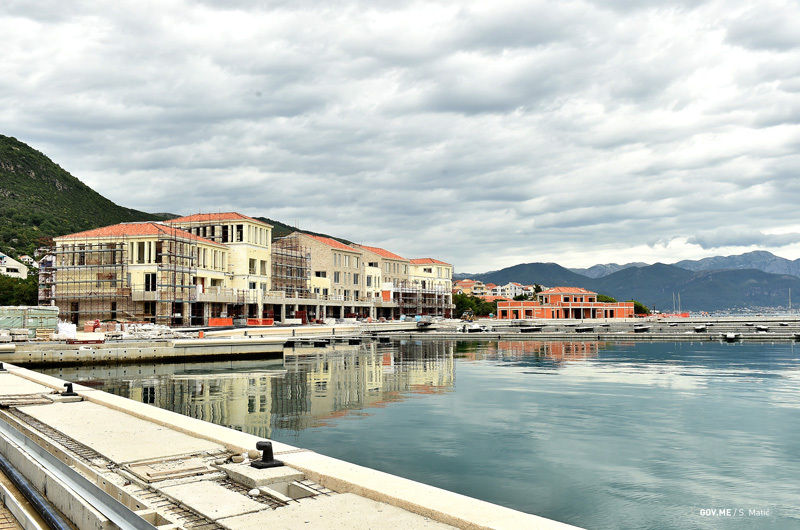 The Chairman of the Board of Directors of Azmont Investments said that he recommends Montenegro as an investment destination. 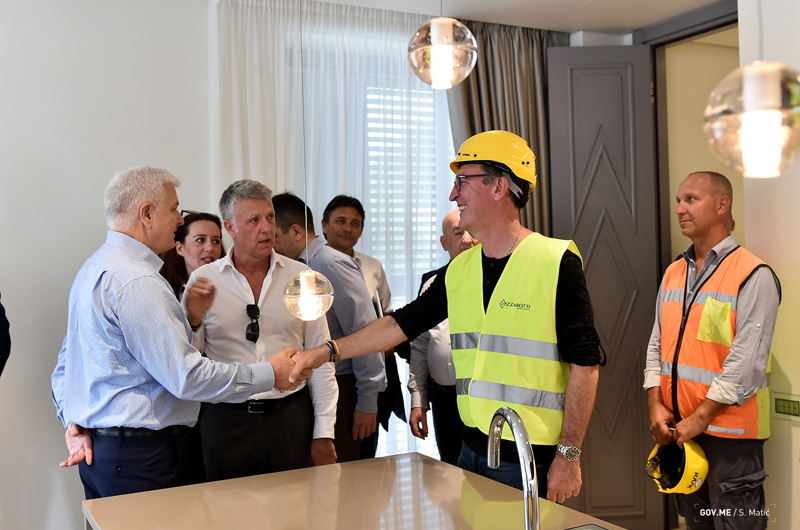 "Since we have not had any problems in this country, I advise all serious investors to come here with a serious project and invest in Montenegro. I am speaking on the basis of my 35-year business experience. If you come here and invest seriously and in the right way, you will always be satisfied," said Ahmet Erentok. At the end of the visit, the Prime Minister congratulated Azmont Investments on the successful realisation of the investment, not hiding his enthusiasm for the project. "I have no words that could describe what we have seen and there are no words for respect to the vision of development. 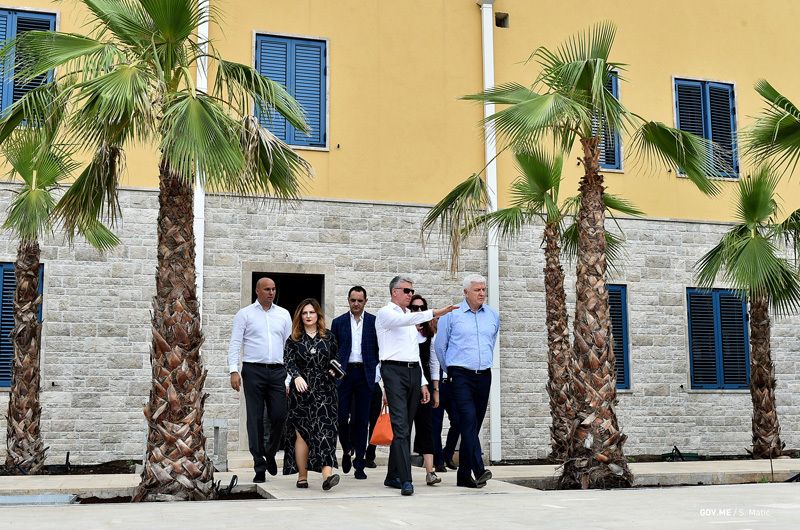 This is what we want Montenegro to be in the future," Prime Minister Duško Marković concluded at the end of his visit to Portonovi. 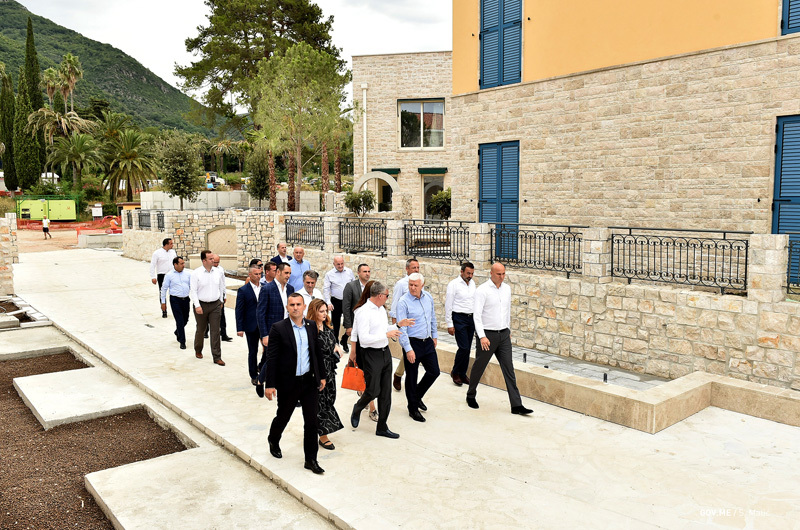 During his visit to Portonovi, the Prime Minister Duško Marković was accompanied by the Minister of Finance Darko Radunović, the Minister of Sustainable Development and Tourism Pavle Radulović, the Minister of Transport and Maritime Affairs Osman Nurković and the Minister of Internal Affairs Mevludin Nuhodžić.